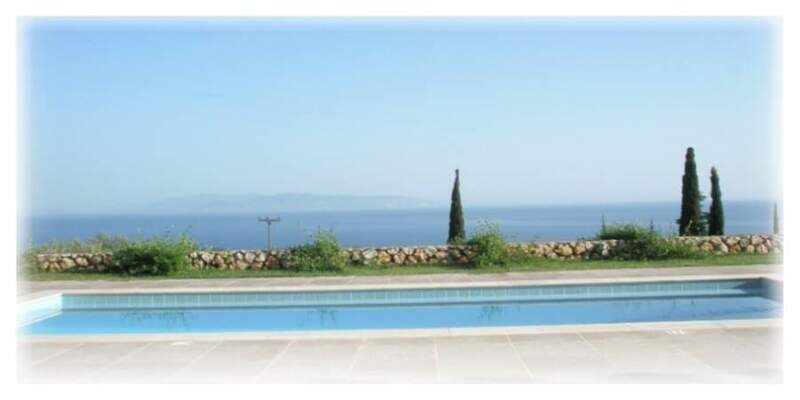 ﻿ Erofili Villas - Elegant and Luxury Villas in Kefalonia offering unique sea view with private pool. The Erofili Villas complex is located between the villages of Lourdata and Vlachata in Kefalonia, only 800 meters from the famous beach of Lourda, less than 2 km from the beach of Trapezaki. It is built in a green and peaceful environment with an effort to faithfully serve its core mission and philosophy: absolute uniformity of hospitality with the natural environment. Vlachata is a small picturesque village overlooking Lourda Bay with a wonderful view to the Ionian Sea and the island of Zakynthos. It belongs to the municipality Leivathous and lies 18 km from Argostoli and 15 kilometers from Kefalonia’s airport. It stretches up to the foothills of mountain Ainos, which reaches a height of 1,826 meters. The position of the complex makes it an ideal destination for those who want to combine their vacation by the sea and the mountains. It consists of 6 villas, furnished and designed to the highest aesthetic standards, with unique style and quality. All the villas are fully equipped with all requisite facilities, while 5 of the 6 have their own private swimming-pool. 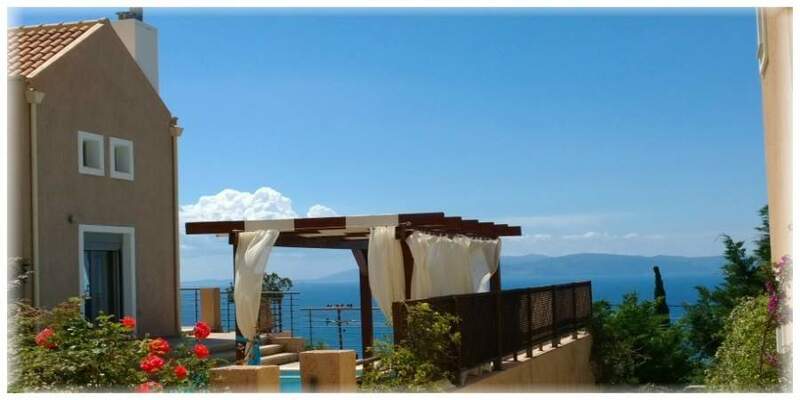 Additionally, they have individual verandas and balconies that provide a pleasant and comfortable stay, offering a unique view to the nearby beaches of Lourda and Trapezaki, the island of Zakynthos and Ainos, the mountain with the unique Kefalonian fir (Abies cephalonica).